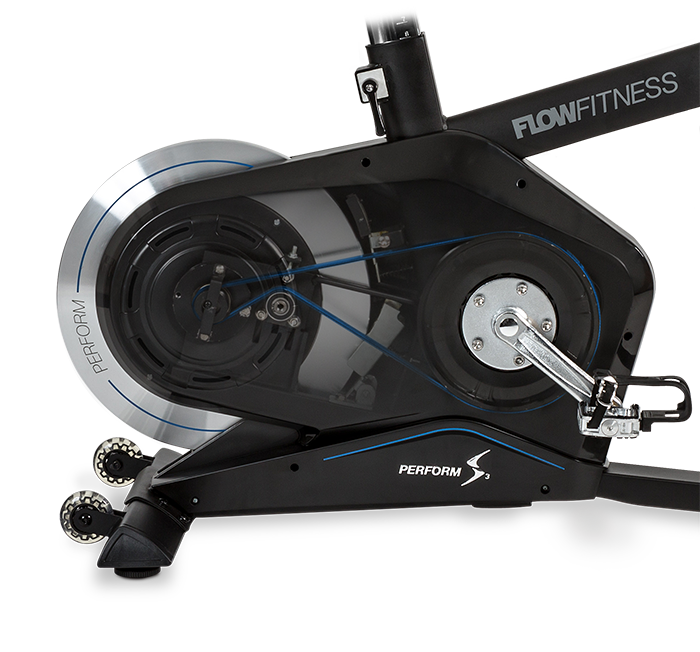 The Perform S3i speedster offers the perfect combination of strength, flexibility and endurance workouts. Stay in shape or improve your stamina and toil to the top of the Alpe d’Huez or find the right rhythm through a flat landscape. 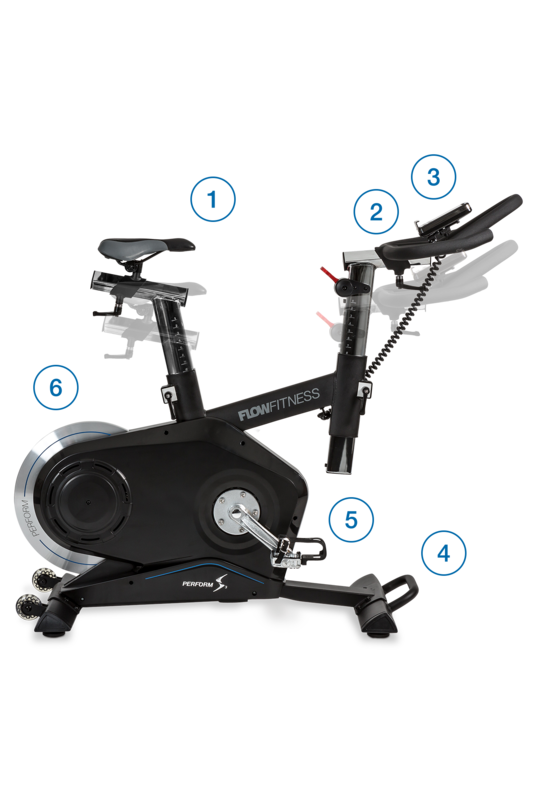 The Perform S3i, featuring a magnetic resistance system, is completely noiseless due to the balanced flywheel (20kg) and the silent belt drive. The Perform S3i Speedster is suitable for both home and professional use. Because both the seat and the handlebar can be adjusted horizontally and vertically, everyone can assume his or her ideal racing position while working out. The S3i includes 3 heart-rate controlled programs. With these, you can train based on a set heart rate. The computer automatically adjusts the resistance to keep you at the right heart rate. A Flow Fitness chest belt is recommended for this (not included with purchase). The console is equipped with a Bluetooth function. This allows the S3i to be paired with your tablet or smartphone. By installing free workout apps, the options of the console of your speed bike are greatly expanded. Because the Perform S3i is equipped with transport wheels, it can easily be rolled away for storage after a workout. To facilitate both pushing and pulling power, the pedals are equipped on one side with an SPD click system and with a toe clip on the other side, which can be used with any shoes. The 20kg flywheel is precisely balanced for optimal rotation and to prevent disruptive vibrations. Tiresome vibrations and irregularities while cycling demotivate and do not promote results. The S3i is therefore equipped with a belt-driven 20-kg flywheel, which is very precisely balanced. Via Bluetooth, you can pair the Perform S3i speedster with your smartphone and tablet. The mobile device becomes your console, and you can freely use apps such as Kinomapp, Fit Hi Way, iConsole+ and iRoute.